Adorable pink flower burp cloth set. Makes adorable baby gift. 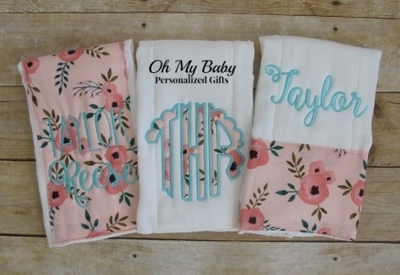 Includes 3 personalized burp cloths with a variety of name and monogram designs.